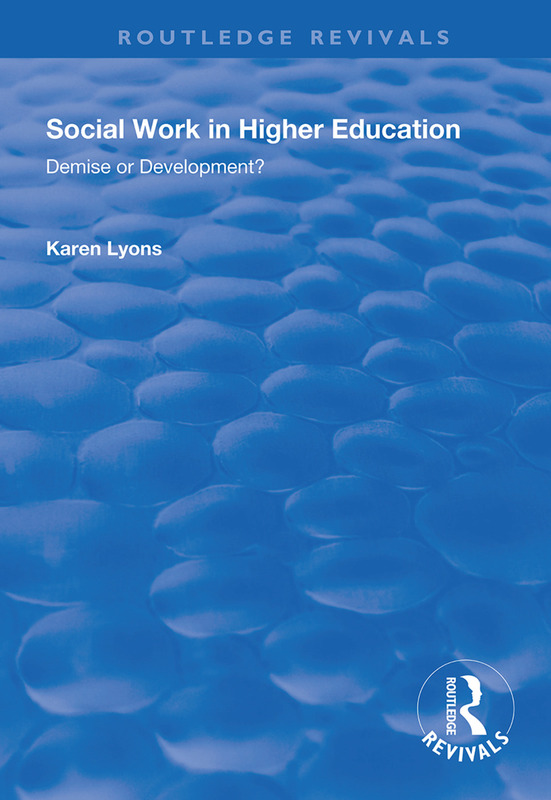 First published in 1999, in the light of recent moves towards deprofessionalisation and instrumentalism, Karen Lyons has conducted extensive research into the challenges facing social work training as a higher education discipline. Here, these challenges are located in a discussion of wider changes in both higher education and the personal social services, and are also linked to debates about professional education and the nature of knowledge. The analysis is based on original data and includes reference to pedagogical and cultural factors, and to internal and external policies which might make social work viable or vulnerable in the higher education context. This multi-disciplinary perspective reflects a characteristic of social work study itself - a quality which might be seen as either problematic or as a strength. The book concludes that, while the future scale and form of the social work subject area lie partly outside the control of social work educators, they have a key role to play in the development of the discipline. This includes the promotion of research, which should underpin the creation of knowledge and inform professional practice in the changing field of personal social services.